Chlo Subia is a singer-songwriter, who started off performing in music theater at her local community center. This eventually led her into a recording studio late one night, discovering her love and passion for recording and songwriting. She writes all of her songs based on personal experiences, allowing her to connect and relate with her fanbase. 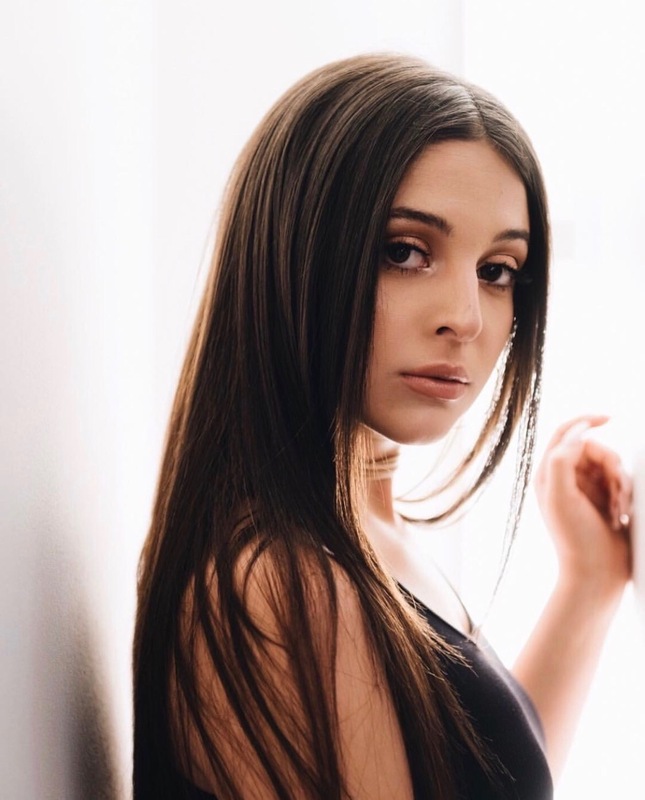 Chlo is a strong and free spirited singer that deeply cares about connecting with her fans and sharing experiences with them. l am on a plane right now listening to Majid Jordan’s new album but my all time favorite song that gets me in a MOOD is “l Wanna Dance With Somebody” by WHITNEY HOUSTON the Goddess herself. Growing up, I’ve always wanted to be involved in something music related. l love the adrenaline of performing live. My earliest musical memory is probably singing in front of our fireplace for my Grandpa. l sang “California Dreamin” by The Mamas and The Papas and totally felt like l straight killed it. Once l finished, he literally told me every lyric l sang wrong. l walked off and out of that room so fast HAHA. l wish l had been more interested in piano at a young age. That would be a huge help now having only a couple years of learning how to play. 2017 was a huge year creatively for me. 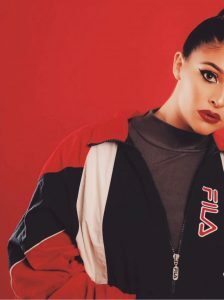 l was connected with some of the most amazing songwriters and producers, released four singles, attended red carpet events, had my first cover shoot for a magazine, hosted my first red carpet segment for an outlet, had a huge release party and have continued to grow my socials and brand as a whole!! l grew up in a small town just outside of LA. The community, as a whole, has been so supportive of my dream, and my passion for music. Friends, neighbors, teachers etc all have shown up to the little events in my backyard to more recent events and shows in Hollywood. I have such a strong group of people who support me. I am super fortunate for that foundation. 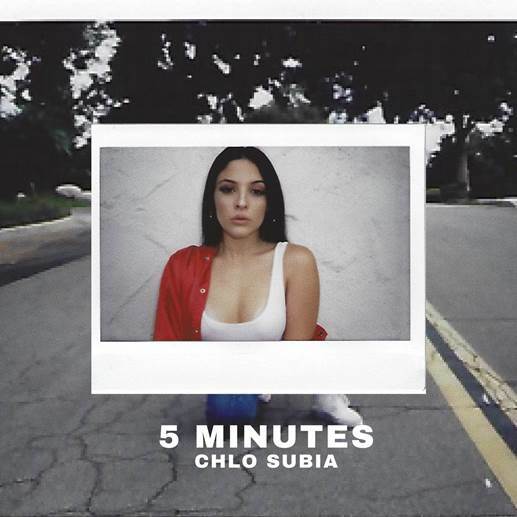 What was it like releasing your single, “5 Minutes”? What was the inspiration for it? “5 Minutes” song release was amazing! l wrote the song in NY with Kenetics and One Love. It later was reproduced by a producer l work closely with named Tushar in Los Angeles. The feedback and the amount of people relating to the song was so crazy to experience. The song isn’t about a boy or a bad breakup, it’s actually about a really mean girl who lacked loyalty to her friends. I’ve learned so much from being hurt by that type of girl who wasn’t about having each others back and liked to tear down girls rather than boost one another up. It definitely helped to write a song about it. Not for her benefit, but for my own and processing it all. How do you think this single is a great introduction to who you are as artist? The single is a great representation of my attitude because I’m not the type to be a really aggressive, petty person. The lyrics are very conversational and directed. But I hope it makes girls realize they don’t need to be in competition and if someone is bringing bad energy you can move on. This new year will bring a great project of my recent songs dropping and performances / tours. What has it been like keeping up with your social media sites? How important do you think it has been to your career? Are you pretty active on them all? Social media is personal to me. I’m very involved and care about the content and creativity being presented. l really want my brand as a whole to be a direct reflection of who I am as a person and artist.l edit everything, choose the colors for feed purposes and bring ideas to the table because l like it to constantly change and stay very current. My social media /PR team is AMAZING and helps me bring all of my crazy concepts to life. l like to pull inspiration from old Vogue shoots, studying. Instagram is by far my favorite medium. After checking out your website, it looks like you stay incredibly busy! How do you keep up with it all? What has been a favorite event to be at recently? Yes, l love being busy! If I’ve learned anything in this industry, it’s all about the grind and how much time you put in. My favorite event I’ve recently attended was the 2017 AMAs because it was a huge night for the industry and artists to celebrate other artists. It’s super fun to plan an outfit and the hair/makeup and styling is a thing for sure. l firmly believe that music is something that brings people together, that inspires others to understand that they’re not alone. Music can bring out all those emotions of happiness, sadness, pain and love. Writing music is cathartic but listening to it is like good therapy too. I hope my songs allow people to feel tons and work through something, or at least know someone else has been there too. l will ALWAYS love Michael, AMY Winehouse and Whitney. l find Rihanna to be creatively inspiring. Her look as a whole is EVERYTHING. Artists I would love to work with definitely are Frank Ocean or SZA. My goal has been and always will be to inspire others through the words in my songs. I am human; make mistakes, laugh too, cry when people hurt me or piss me off. I just need to have my songs and my vibe stay real. How do you hope to be a good role to your young women fans? What advice would you give to a young person who is thinking about becoming a musician one day? l hope to show girls that you can do anything if you work and grind. If you want to produce, produce, if you wanna Dj, Dj, if you want to manage, then manage. Gender shouldn’t hold you back from your dreams. Music is a very tough business and I have been so lucky to have found a team that are cool and professional and really good people at their core. It’s only been rewarding so far because it’s something I love and need in my life. I would encourage others to stay focused, listen a lot to people in the industry and stay true to your sound and your self. Oh yeah… And to keep it fun. Music is SO MUCH FUN.